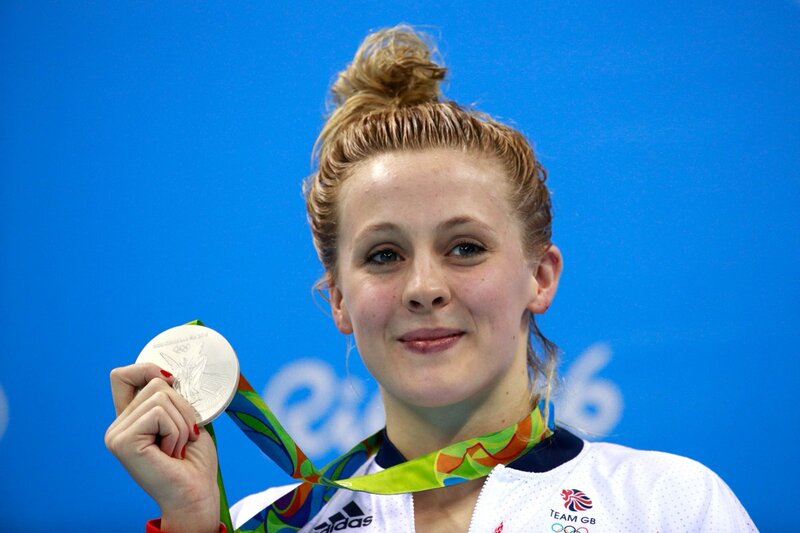 At last year’s Olympics, Siobhan-Marie O’Connor was one of the stars of the GB swimming team where she won a silver medal in the 200m Individual Medley (IM). The 22-year-old first burst onto the international swimming scene in 2011, when she went to the World Championships in Shanghai and placed 13th in the 200m Individual Medley. O’Connor was the youngest GB swimmer competing at the 2012 Olympics and she qualified for the 100m breaststroke, where she finished in 21st place but soon after her first Olympic experience she would be diagnosed with a long-term health condition. O’Connor opened up about her diagnosis, “I was diagnosed in September 2012, just after I competed in London. I had active colitis for about year and during this time it was wrongly diagnosed as IBS. Before I went in for the proper tests, I was really unwell and suffering from lots of debilitating symptoms. Once I received the diagnosis it took about 6 months to get my symptoms under control. “It took me a long time to come to terms with the condition and to realise that I am not the same as my teammates but I have learnt that every athlete is completely different and I have to do what works for me. I have to adapt my training a lot and I have to continuously do so as my health goes through ups and downs. It’s a hard balance between pushing myself hard to improve but also not pushing so hard that I break down because I have a weak immune system, I pick up viruses and other illnesses really easily so I have to be more cautious than most other athletes,” she added. In order to get the best performance at last year’s Olympics, lots of planning went into the travel between the training camps and the start of the Games. “When I went to Rio, the journey had been planned really well so that we had an overnight stop and travelled during the day so we weren’t travelling for so long in one go and didn’t miss any sleep. This benefitted me a huge amount. I try to make sure in the lead up to a long haul flight I do everything I can to make sure I am healthy before I travel and well rested, and that I sleep and rest as much as possible when I get there afterwards.” This clearly worked well as O’Connor claimed a silver medal in the 200m IM and beat her previous British record, setting a best of 2.06.88. The 22-year-old had a tough competition at this year’s World Championships, where she placed seventh in the 200m IM final and finished fifth as part of the 4x100m mixed medley relay but preparation for next season has already begun. The main focus for many athletes is the Commonwealth Games in April and O’Connor will be looking to retain her titles and add to her medal haul. 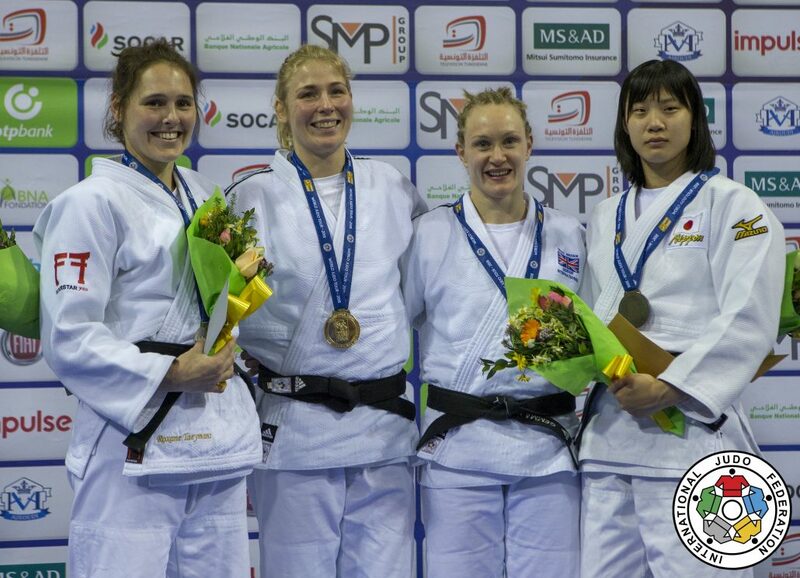 Gemma Howell won the first international medal of 2018 for GB Judo with bronze at the 2018 Tunis Grand Prix on Saturday 20 January. This was the Wolverhampton judoka’s third Grand Prix medal at -70kg having moved up to that weight at the start of 2017. The 350 world ranking points should also see Howell overtake Sally Conway in the world rankings. Howell was in fine form from the start as she made short work of Tatiana Kovalenko (RUS), winning her opening contest inside the first minute. The British judoka threw Kovalenko for waza-ari in the opening exchange and followed that up in the next exchange as she threw her for ippon. Japan’s Saki Niizoe was next up in the quarters and the Howell went behind early on by waza-ari. Despite her best effort she was not able to get a score back and dropped into the repechage. There she faced Nurcan Yilmaz (TUR) and the Turkish judoka proved to be a tricky customer. Eventually thought Howell spotted an opportunity in newaza and executed a superb turnover to secure the hold down. This booked Howell’s place in the bronze medal match where she took on Austria’s Michaela Polleres. Howell controlled proceedings from the start as she dominated the gripping exchanges and put in a number of strong attacks. Polleres conceded an early shido for passivity as a result. Despite being on the back foot, Polleres was still dangerous and did enough to keep Howell honest. Eventually with 45 seconds left on the clock Howell took the lead as she threw Polleres for waza-ari. The British judoka was able to win down the clock with Polleres pressing hard, with the Austrian coming close to scoring in the dying seconds. There were also a top eight placings for Lucy Renshall and Amy Livesey at -63kg as they finished fifth and seventh respectively. Renshall got the better of the experienced Isabel Puche (ESP) in her first contest as she threw the Spanish judoka for ippon. Her quarter-final with Andreja Leski (SLO) was a lung-bursting encounter which went into golden score. After over four minutes of golden score it was the British judoka who came out on top, throwing Leski for ippon. It was another golden score contest in the semi-final against Tina Trstenjak (SLO) with Renshall giving the Olympic champion a good fight. Eventually the Slovenian took the win with a close waza-ari score going in her favour. Austria’s Magdalena Krssakova had beaten Renshall’s teammate Livesey in the repechage final and she continued that winning run as a late waza-ari score proved the difference in a tactical contest. Livesey faced Denmark’s Laerke Olsen after receiving a bye into the second round. After taking the lead by waza-ari, the British judoka finished the contest in newaza and she forced Olsen to tap from a strangle. In the quarter-final Katharina Haecker (AUS) took an waza-ari lead and held despite Livesey’s best efforts. This dropped the British judoka into the repechage where she took on Krssakova (AUT). Livesey appeared to have won it in final seconds with a waza-ari. The score was taken off by the table officials and Krssakova took the win in the golden score as she threw Livesey for ippon. Jemima Yeats-Brown made her return to international competition in Tunis. The Ryecroft judoka had last fought internationally in 2016 due to an ACL injury last year. She saw off the challenge of France’s Marina Olarte in her opening contest as she threw her for waza-ari before finishing the contest in newaza via strangle. Belgium’s Roxane Taeymans would get the better of Yeats-Brown in the second round with a single waza-ari proving the difference. The Belgian would go on to finish the day with a silver medal. At -73kg Dan Powell made his Grand Prix debut and started things off with a solid win over Belhassen Louati (TUN) as he held him down for ippon. Powell would lose out to Akil Gjakova (KOS) in the next round with the Kosovan winning with a mix of strong tachiwaza and newaza. Eric Ham (-73kg) and Owen Livesey (-81kg) both went out in the first round to Georgii Shmakov (RUS) and Ivan Petr (CZE) respectively. Ham’s contest went to golden score with Shmakov winning on shidos. Livesey went ahead in the opening minute of his contest before Petr levelled things up with just under a minute left. The Czech judoka finished the contest just three seconds to go with a second waza-ari giving him the win. Sunday will be the turn of the heavyweight judoka with Frazer Chamberlain (-90kg), Jamal Petgrave (-90kg) and Philip Awiti-Alcaraz (-100kg) taking to the mat. Competition starts at 0900 UK time with live coverage via live.ijf.org and britishjudo.org.uk. Find the full draw on ippon.org and follow @BritishJudo on Twitter for live updates.